Projectors get you the cinema experience in your own home. However, you need to be wary when fishing for a great projector sale. Cheap imports often have misleading or flat-out made-up specs. 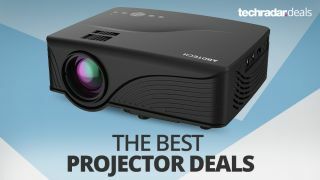 That's why we've put together a list of the best projector prices and deals worth your while. Below you'll find projector sales from top brands and reliable retailers like Amazon so you create a home theater experience of your dreams.